The Clifden Station House is a modern hotel set around the old Clifden Railway Station. More than 60 years ago the last Steam Train departed from Clifden to Galway. Today the Railway Station, its Station House Platform and Engine House have been magnificently restored and transformed into The Clifden Station House & Courtyard. 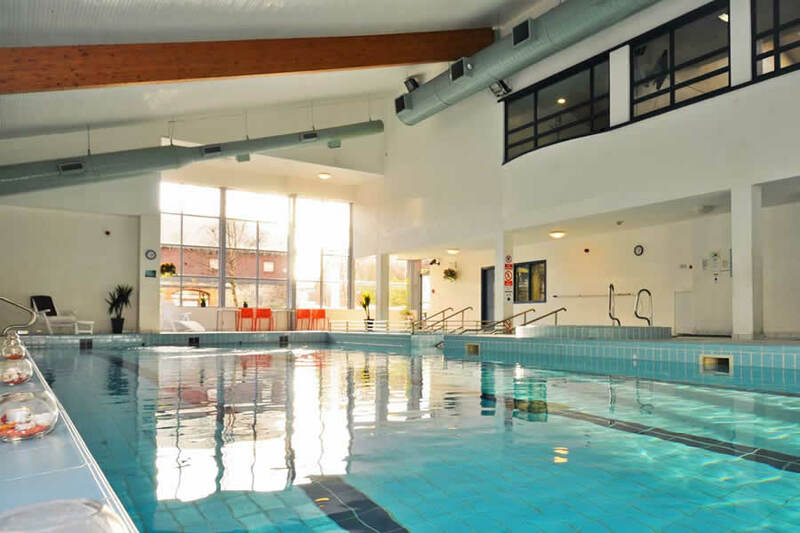 The hotel also has a leisure centre & indoor swimming pool. Clifden, the capital of Connemara Co. Galway, is the perfect base from which to see the many enthralling aspects of the West of Ireland. 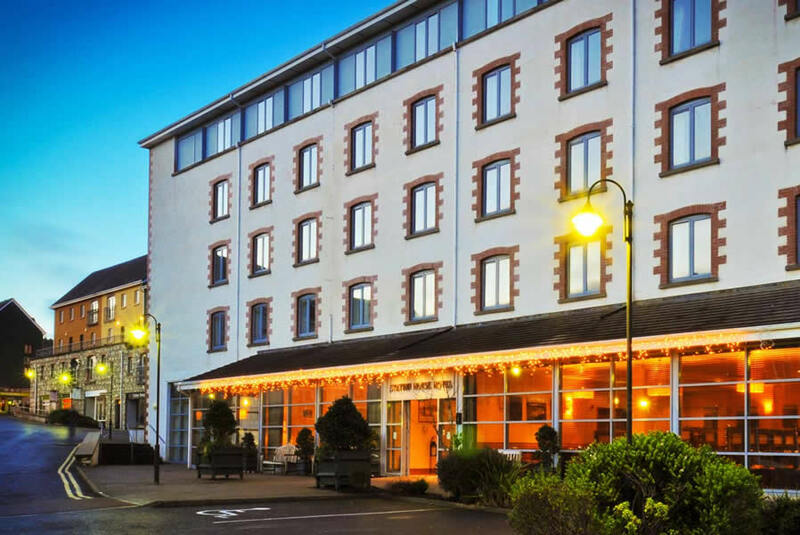 The hotel is located just off the N59, to the left, along the scenic Galway to Clifden Road, which en route takes in views of beautiful lakes, rugged landscapes and the magnificent Twelve Pin Mountain range. Clifden Station House is just 1 minute walk from the centre of Clifden Town. The staff at this hotel, from the managers to the support staff, were without exception the most welcoming and obliging staff we have come across anywhere. The hotel facilities, the food and everything about the hotel were excellent. When we mentioned 1 minor glitch with regard to food, prompted by the Manager enquiring about our stay, it was dealt with in a most professional manner, with an honest apology and a free drink on the house. Will definitely go back! We were overwhelmed with the wonderful warm welcome we got from the manager of this hotel. She seemed to have time for everyone and despite being very busy she came in the dining room to make sure we were enjoying our meal. The entertainment there was wonderful two guys playing made every effort to sing any song we asked. All the staff were extremely obliging and so nice. Food was delicious. Were given a discount voucher for a return visit. Though it is a long way from us we are really looking forward to returning. Great location in the town of Clifden with Connemara National Park and Omey Island only a 15 minute drive away. Good food both for breakfast and dinner with very helpful and knowledgable staff. Leisure facilities good. Would go back again. Friendly staff and lovely location. Staff were very friendly and helpful. Bedrooms need updating - carpet, paintwork. Had lunch in the bar and it was inedible. Stew way over salted and gloopy. Open Crab sandwich was so covered in dressing I couldn't taste it. In fairness when I said this to the bar manager he refused to charge for the lunch. the leisure center was great, nice long pool, steam room, sauna and Jacuzzi. we had a delightful stay in beautiful Cliften . The Station house was great, lovely staff, food fantastis, and a very friendly atmosphere, We loved the Old Station house Pub and its music, Everything was just lovely, thankyou. Station House Hotel ticked all the boxes.Stayed 2 nights.Staff v friendly and helpful.Food in restaurant and bar very good.Location for Clifden perfect.Beaches all within a few mile.Highly recommended.Already planning a return trip. we stayed 3 nights, great staff great location but disappointed with breakfast, however staff did offer fresh poached eggs as alternative. Loved the Station House. 2 mins walk from main street. Staff couldn't have been more helpful. breakfast was excellant.Only stayed one night - will be going back for two! One of the most quietest hotels I have ever stayed in! Very family orientated. Lovely comfy beds spacious rooms, nice breakfast, very pleasant staff. Swimming pool could do with a revamp. Very central location. We had an overnight stay in the hotel last weekend---------got a great deal --------the staff were very welcoming-------the service and food was excellent------in a great location beside town centre------we will be returning. I ordered two rooms. My guests are providing this review. Clean hotel. Staff adjusted to our needs - changed a twin to a double. Large choice for breakfast and enjoyable. Good location for the shops in Cliften. A lovely hotel. Very clean. Staff were welcoming. Good choice for breakfast. Good location. Only small gripe was that the Internet on TV required a PhD to get it going. You have to use a combination of the keyboard and remote control before things would happen. One wrong button and you had to start from the beginning again. Stayed at Hotel on 6th/7th June 2014 - booked 4 rooms. (7people) No complaints at all about hotel/location/cliften - nothing to fault. Hotel was excellent, location wise, food wise, and staff were fantastic - Celebrated 50 birthday with dinner in their restauraunt (where other friends joined us). the food was fabulous, as was the service, and reasonably priced too. - All the gang went home happy. Fabulous location for touring the beautiful Connemara region - and for the nightly entertainment in clifden bars etc. Would love to be going again asap!!!!.... and would recommend it to anyone. Stayed the weekend of the tour of connemara. It was very busy and extremely noisy. Very bad insulation could hear people outside all night as we were opposite the bar. The food was nice and a good supply at breakfast. Good leisure facilities but due to lack of sleep would not return. Clifden is a lovely town with great traditional music. room was only ok not very modern but it was comfortable. Leisure centre was not great at all, I expected more, it was very dark and temperatures of pool and jacuzzi were not right.. to cold . staff were nice and friendly. food was also very nice . I thoroghly enjoyed my stay at the Clifden Station House hotel. There was lots to do at night in the area, lots to see during the day. Staff were so pleasant and helpful. The food was lovely. It was incredible value for money!! Had a lovely few days in the Clifden House Hotel! it was very clean and comfortable and the staff were friendly and courteous. Had food in the bar on 2 days which was excellent. The only negatives were they could have had a bigger choice on the menu in the bar and you had to ask at reception to get a drink in the Library bar, but having said that I would definitely go back again. Well I stayed in the Clifden Station House Hotel what a fantastic time the family had I would certainly recommend this hotel as it was so relaxing and the most beautiful views in Ireland.Staff were very nice and helpful food was excellent and lovely people.Such a quaint village will return. 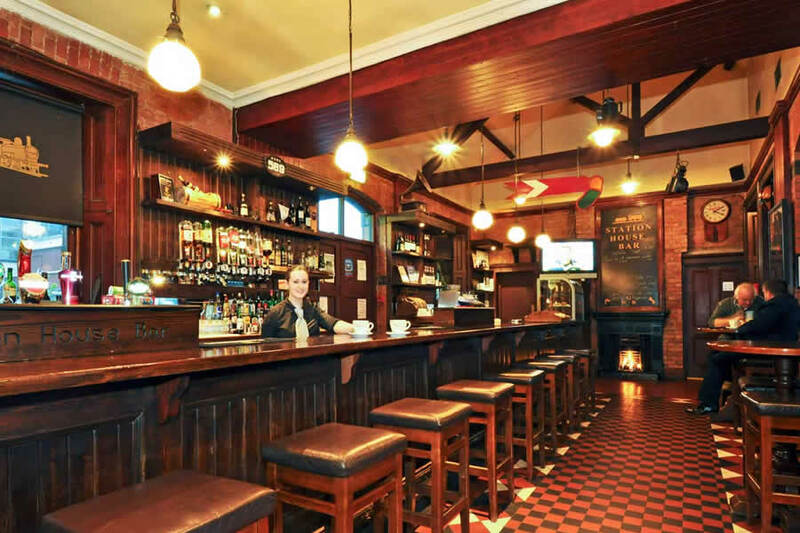 I highly recommend The Clifden Station House, staff very friendly, food excellent,I really enjoyed my stay there, will make a return visit and would tell my friends .Thank you to all the staff for making my stay enjoyable. Good location, beds really comfortable however room v noisy could hear everything next door. Breakfast to be served from 7.30 however hot food still not ready by almost 8 am. Mentioned to reception at check out however response was will tell manager. Wouldn't stay here again. We really enjoyed our stay. The staff were excellent, very helpful and friendly. Fantastic food and good service. My wife and I stayed in the hotel for two nights. The room was very comfortable and clean; our only criticism was that it was too warm for us but the radiator control was simple to adjust. The bathroom well equipped with everything that we needed. Breakfast is buffet style and excellent though we would have liked a greater selection of wholemeal breads. Dinner in the restaurant was excellent with a decent choice of dishes and they stocked a local craft beer. The staff in all departments were courteous, friendly and helpful. We enjoyed our stay and would be very happy to stay there again. Clifden is an excellent centre from which to tour Conamara. My family and I had a thoroughly enjoyable stay in early January at The Station House Hotel! Wonderful food, attentive, warm and friendly staff, great facilities and the children's club make this a very suitable and welcoming hotel for families. A great value break! We will be back! Friendly staff. Warm and spacious bedrooms. Food excellent. A beautiful hotel set in beautiful Connemara. My family room was spacious and comfortable with all I need to have a relaxing stay except a FREE internet which should be standard in such a hotel hence the 4* rating. The room service was brilliant and the staff friendly. Breakfast was superb. The hotel also has a fully equipped leisure centre and spa. We had fun! WE STAYED AT THE HOTEL FOR 3NIGHTS IT WAS LOVELY. WE HAD EVENING MEALS INCLUDED & WE PAID €9 EACH FOR KIDS MEAL WHICH WAS STARTER DINNER & DESSERT. WE REALLY ENJOYED THE LEISURE CENTRE AND THE KIDS LOVED THE THEATRE . THE STAFF WERE FRIENDLY & OUR ROOM CONSISTED OF A DOUBLE & 2 SINGLES JUST ADEQUATE SPACE. IT WAS CLEANED EVERY DAY . WE DID HAVE A LOOK AT THE APPARTMENTS ATTACHED TO THE HOTEL IF WE WENT AGAIN WE MIGHT AVAIL OF ONE AS THEY ARE VERY SPACIOUS. BEAUTIFUL SCENERY IN THE CLIFDEN AREA WELL WORTH A VISIT. We had a very enjoyable stay in Clifden Station House. The staff were extremely friendly which I found a delight as in recent times I find that hotels lack in this department. The room was gorgeous and very warm. The pool, jacuzzi and steam room were most enjoyable. We found the other guests and locals very friendly. This was our first trip to Connemara loads to see and do we will definetely be back to the Station House and would have no hesitation recommending it. We visited Kylemore Abbey which is nearby and a must see with its beautiful walled gardens, architecture and interesting history. The onsite cinema at the station house is very convenient we enjoyed going to see Captain Philips there. I would inquiry next time about staying longer in one of the apartments as we were told that the station house do very competitive deals for a week B&B plus some evening meals so perhaps we will return at Easter as would love to go to the nearby adventure centre, the mines and fit in some hill walking / beach walks. My Husband and I stayed at the Clifden Station House Hotel for 1 night midweek and would highly recommend it. From the moment we checked in until we checked out we could not find fault. The reception staff were welcoming, friendly and efficient. Our bedroom and bathroom were bright, fresh and very clean. We were on a dinner, bed and breakfast package which was really good value. We dined in the restaurant and the staff were again very friendly, efficient and made us feel welcome. The menu had a good selection and the food was well presented and delicious. We had a few drinks in the Station House Bar across from the main hotel and again there was a nice friendly atmosphere there. Buffet breakfast the next morning was well laid out with a good continental and cooked selection. We will definitely return to the Station House Hotel in the near future. Excellent accommodation,staff were very friendly and helpful ,lovely hotel,will stay there again. My wife and I stayed at this hotel for 3 nights, we had the most wonderful time. The food ,Staff, room and pool were all first class. We will definately be back and will also make a return visit to Griffins pub where the craic and drink is 90. We cant wait to return to Clifden where we could not find any fault. Lovely stay, good value, very central. Great staff, so friendly and accommodating. Fantastic food, and a great value deal. Will definitely return. I was very impressed with the hotel overall. The staff were most helpful and the food was very tastie on each night of our stay. I would highly recommend the hotel.